Neil Lennon’s future as Hibernian boss is uncertain after the club suspended the Northern Irishman on Friday. His time in Leith has been packed with incident since being appointed manager just weeks after Hibs won the Scottish Cup in 2016. We look back at five of the most memorable games during his spell in charge at Easter Road. Lennon’s immediate priority when appointed Easter Road boss was to guide the club back to the top flight after two seasons spent in the Championship. While Hibs won the cup in style in May 2016 under Alan Stubbs, they had also crashed out of the promotion play-offs in agonising fashion against Falkirk. 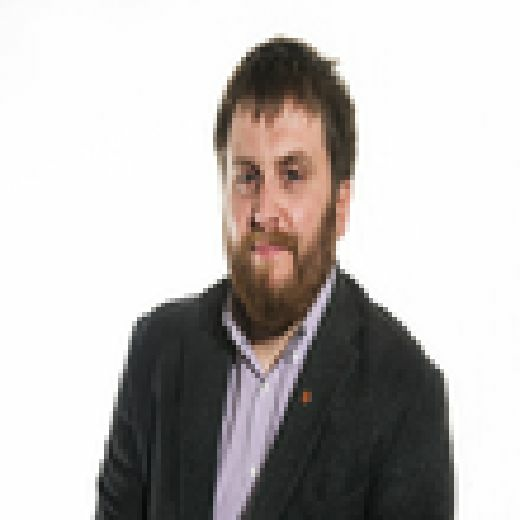 With Rangers and Hearts having returned to the Premiership, newly-relegated Dundee United became the biggest threat to Hibs securing the one automatic promotion place available. When Ray McKinnon’s team arrived at Easter Road in early 2017 they were just one point behind the Hibees in first place. In a highly anticipated Friday night match broadcast live on TV, two goals by Jason Cummings helped Lennon’s team open up a four-point lead in the Championship. Hibs would eventually win the title with room to spare. Given the quality of the Hibs team that had won promotion, many pundits backed Lennon to lead Hibs into the top six in their first season back in the Premiership. The Easter Road men hit the ground running and emerged from Ibrox with a valuable three points in their first match against Rangers since that famous cup final the previous year. Lennon celebrated the victory in front of the home fans - with one Rangers supporters’ group being so upset they released a statement urging the police and football authorities to investigate his conduct. Few Jambos would have expected their oldest rivals to finish quite so far ahead of their club in what was Hibs’ first season back in the Premiership. But this derby victory put Lennon’s side a full 12 points ahead of the men in maroon. Neil Lennon said afterwards he was happy Hearts’ boss Craig Levein’s comments “came back to bite him”. 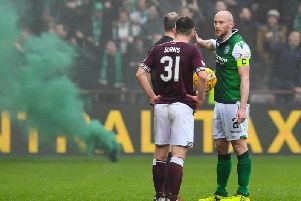 Levein was accused by Lennon of being disrespectful after he claimed “natural order” had been restored following Hearts’ Scottish Cup win in January - a match that ended Hibs’ eight-game unbeaten run in the derby. Early in the season Lennon had boldy predicted his side were good enough to claim the runners’ up spot in the Premiership table behind Brendan Rodgers’ all-conquering Celtic. In the end they came up just short, settling for a fourth place finish behind Rangers and Aberdeen. But a satisfying first season back in the top flight was signed off with a thrilling match against the by now managerless Ibrox side. The Gers had stormed back from 3-0 down at Easter Road to level at half-time - then led 5-3 in the second half. But Jamie Maclaren’s late equaliser snatched a dramatic point for Hibs. Lennon marked that goal with his now famous aeroplane celebration on the Easter Road pitch. The Hibees’ reputation as pioneers of European football took a dent in the 21st century after a series of results that ranged from the mediocre to the downright embarrassing. When Hibs found themselves two goals down against Greek side Asteras Tripolis within 35 minutes in this Europa League second round qualifying match, many home fans found themselves thinking back to that infamous 7-0 defeat against Malmo in July 2013. But a rallying team talk from Lennon at half-time saw a different Hibernian emerge for the second half. Efe Ambrose and David Gray levelled the match at 2-2 before Florian Kamberi sealed a sensational comeback victory - helping restore some Euro pride in the process. Hibs would go on to seal a place in the next round thanks to a 1-1 draw in Greece - the first time the club had won through two consecutive rounds of European football in over 40 years.